Experience the Power of Programmatic! "PandoLogic's account managers go above and beyond to provide best practice information to ensure we receive optimal performance from our spend." "pandoIQ’s AI-enabled algorithms have eliminated the resources previously required to manage and track our ad campaigns!" "pandoIQ has quickly revolutionized our candidate sourcing strategy by providing upfront job performance prediction, a single source for managing job distribution and visibility on the key performance and budget metrics." 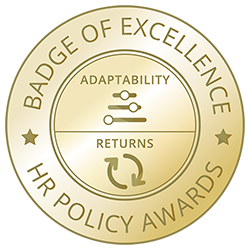 HR Policy Association's Recruiting Software Initiative (RSI) Review Board has awarded Badges of Excellence to PandoLogic for Adaptability and Returns. PandoLogic's programmatic job advertising platform connects employers and job seekers in the most efficient manner possible on the largest recruitment ad network in North America.